I suppose selling your house the second time around can be financially rewarding as it was for friends of ours who finally sold their house after having multiple offers which caused bidding wars and all before the first open house. The quiet sought-after area in the Greater Toronto Area where they live rarely has houses come up for sale but that doesn’t mean they WILL sell when they do as our friends found out last year. After a failed attempt at selling their house in early 2015 they gave it another shot this past month to see what would happen. This time around though they took the advice from the potential home buyers who came to their open house when they tried to sell in 2015 for $400,000 with no offers in sight. The house was certainly not over-priced however it needed some work doing to spruce it up more than they already had. Their real estate agent didn’t do the job they expected so this time around they hired a woman who came highly recommended to them. Before they signed any legal and binding papers with her they came up with some questions to ask her and essentially interviewed her for the realtor position. Smart idea, something many people don’t think to do when hiring a real estate agent. Armed with a new real estate agent and company they went to work to get their house ready for sale. It wasn’t easy trying to sort out all the loose ends of home selling especially when you thought you’d already covered them all. The problem when selling a home is that the homeowner doesn’t always see what potential buyers see. This is where the real estate agent will come in and help in hopes of getting the best offer on the house. How do you make your home stand out to buyers? Before you do anything you fix all the obvious flaws in and around the house. Painting is one of the cheapest fixes. Choose colours that pop but not too dark. White walls are boring to many buyers as they find them too clinical. If you haven’t replaced your roof and it’s horrible to look at, get it done. If your porch is filthy clean it thoroughly to bring it back to life. For a touch of class and friendly nature add some seasonal flowers and welcome mats to greet your potential buyers before they enter the home. The outside of your house may make or break potential buyers coming through and the possibility of bidding wars which means more money in your pocket. This is what they did the second time around which cost them approximately $2500 as they did most of the work themselves however what the bidding wars returned made the extra effort worth it. Added fresh new curtains with a burst of colour- Yellow is key here. Staging the home- Removed anything the didn’t belong and packed it away to keep a minimal clean space that was inviting and fresh. Cleaned the siding professionally and front entry way was cleaned with fresh flower pots and a welcome sign and mat at the door. Posted on their social media accounts that they were getting ready to sell their house so the word was starting to spread among friends and friends of friends. It was overwhelming for them to hear what they needed to do so their house would sell. Most home sellers hope for the best but if you want the best you must put effort into staging your property. Just recently two other houses in their area sold with-in a week both well over asking price. This is when dollar signs light up for area residents who are sitting on the fence about selling. Our friends confirmed with their realtor that their neighbourhood was a hot market right now as people wanted away from the busy inner-city lifestyle. Since they were in an established area of 25 years and just footsteps or a short 5 minute drive into the hustle and bustle the area was on the radar for potential buyers once again. 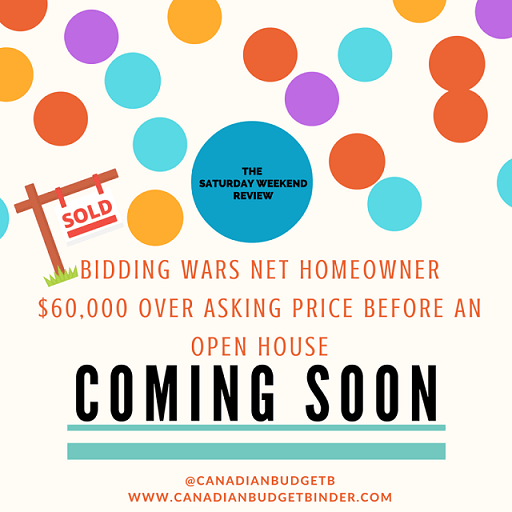 This time around though they did one thing that helped bring in more offers which in turn caused bidding wars on their house…a COMING SOON sign. Yup, that’s what it took believe it or not and we are seeing these coming soon signs pop up all over the city this Spring causing multiple offers and bidding wars. The premise behind the sign is that it gets potential buyers and real estate agents talking and pumped up to view the house. Most times this all happens before the house officially hits the market and bam…the house is sold as in this case but with bidding wars. Smart tactic if you ask me but as with anything else marketing is one of the most important parts of selling your home. This time around their house was listed for $420,000 which is $20,000 more than what they had listed it for just last year. With the recent sales of comparable homes the price was reasonable. I’m sure there were many nosey neighbours ready to view the open house but that day never came. Although not all neighbours are being nosey an open house may bring in other residents who want to sell and are eyeing up what you have to offer potential buyers. Related Post: Are Open House Worth It Or Are They Just for Nosey Neighbours? The day the Coming Soon and House Sale sign was put on their front lawn they had calls for 5 viewings and with-in days multiple offers were on the table. They even had a bully offer for $70,000 over asking price which was outrageous but they didn’t want to risk that the buyer could back out before the house was listed. They had conditions though which the other buyers did not. The bully offer wanted a shorter review period by the potential owners plus conditional upon inspection and they said no. Sometimes it’s best to go for the sure-thing than to be bullied into an amazing offer. If you are the risky type you may fall for this tactic and net some good cash or you could lose it all because you’ve pushed away other buyers who were actionable and ready to buy without conditions. Many real estate agents will explain to potential buyers that if you can go into an offer with little to no conditions that alone may win you your dream house. It’s not always about the money for all home sellers. So, their Open House Sign waiting to be put on the curb was updated with “Cancelled” and House SOLD sticker and left outside for other real estate agents to see three days before the open house. Amazing!! They were in shock the house sold so fast and $60,000 over asking price after the bidding wars one evening among 6 other buyers. Over the course of the week they had more offers come in and even after the house was sold offers were still trying to come in. Just because your house doesn’t sell the first time around doesn’t mean it won’t sell the next time you list it. Sometimes all it takes is a real estate agent that is top-notch and the homeowner to spruce up the house and make repairs to get them from For Sale to SOLD as fast as possible. Have you ever sold a house which brought on bidding wars? Any suggestions? I had a great week this week although I started back to 7 days a week at work. The good news is I have one day that I am off early which means I can hang out with the family longer and start to get things done around here. While running the numbers for our net worth this week I found out that I made a simple error that cost us $5000. I made an error with the exchange rate and how much money I have in the UK which resulted accounting for too much money. I’ve rectified it as you will see in the April Net Worth Update. This week the boy and I filled in the drive-way cracks as I’m getting ready to seal the drive again for another year. This time around though I’m using the Airport Grade so we will see how that turns out. It’s a cheaper brand however even if we buy the expensive stuff with our horrible winters it will need re-doing again the next year and not 5-7 years as the can implies. The wife picked up some more free clothes for herself this week which is great as it saves us some money and helps keep stuff out of the Goodwill and Value Village who charge so much for used clothing. We were planning to go away this summer but it seems that might not happen as I just found out that I have an important meeting right in the middle of when we were planning to go. I can’t do anything about it either. That means we may have to wait until next year to go anywhere as I only have a small window of opportunity this summer. 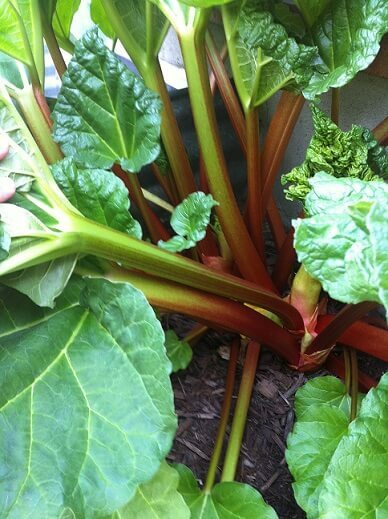 On the blog front things are slowing down as usual every Spring and Summer but that’s expected. I know you’ll all come back when you miss me. 🙂 For those of you who are always by my side, big thanks. Your support always keeps me going. Check out these awesome deals I scored! !- Colleen K.
Welcome to the 2016 Making A Difference series! Join the networking movement of Personal Finance Bloggers around the world. 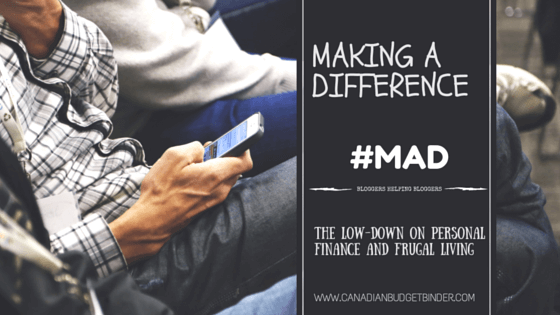 If you are a personal finance blogger (anywhere around the world) and would like your blog to be MAD featured simply drop me an email and I’ll explain the process to you. I’m currently booking for July and August. I have one spot left for June. This is my way of giving back to the personal finance community through networking and sharing knowledge with my fans. Today it is my pleasure to share with you the blog, The Practical Saver. I am Allan Liwanag, the blogger behind The Practical Saver. I am a father to my beautiful baby daughter Adriana, husband to my wife Ana Marie, a caring friend to my friends, brother to my siblings, son to my parents, among others. Basically, I wear a lot of hats just like any other person out there. I was born, raised, and educated in the Philippines. I took my MBA degree here at Appalachian State University in Boone, NC USA. I am a budget analyst during the day and a blogger at night. I guess, it is safe to say that my job never stops. Actually, what I do are what I am really passionate about doing. I have to say that I love what I do that they don’t feel work to me. 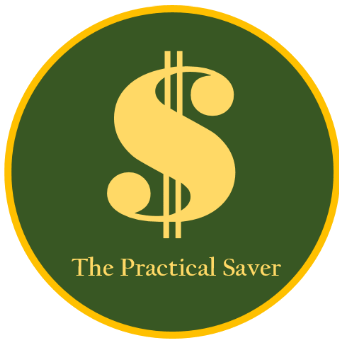 The Practical Saver is a personal finance blog with focus on family, life, and money. It is all about practicality and its interrelationship with family and life. I purposely centered the blog to family and finances because these topics, when intertwined or mixed together, speak highly who I am, what I have, what I love, and what I am made of. Family has always been a big part of my life and that’s why I listed the focused areas of my blog as, first, family followed by the other two. As with finance, I have had good and bad relationships with it. I used to be indebted to the tune of $40K. But with discipline, perseverance, and willingness to do more and challenge the status quo, I was able to eliminate my debt in only 2.5 years and, at the same time, saved at least $70K. I like my stories to serve as inspiration to a lot of people who want to have a better handle on their finances. I have been in financial situations that many would consider impossible to recover from but I did. I have learned a lot about effectively managing finances and taking care of my family, at the same time, without sacrificing one for the other. I know that my stories may always be unique, which is exactly the very reason that I would be able to make a difference to the readers of my blog. Through my experiences, which people may call ordinary, people who are in my situation can see that things can get better. That it is difficult to be in such situation but it certainly is not impossible to get out from one. I believe that in my own little ways, which is blogging, that I am able to make even the slightest positive difference to those who read my blog posts. Food and grocery shopping are relevant to us because food is a large part of the budget which people struggle the most with. We all have to eat to survive but just because we have a budget doesn’t mean we can’t eat delicious home-cooked meals that are drool-worthy. 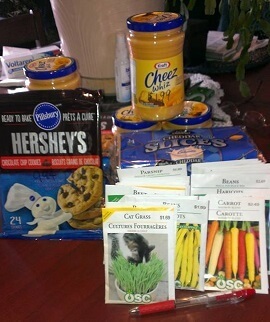 If you are someone who would rather buy convenience foods consider cooking homemade meals or baking from scratch. Not only will you save money but you will be proud of what you’ve accomplished and you’ll see that from the smiles on those you feed. This week our Top Recipe Pick goes to the lovely Elizabeth over at Frugal Mom Eh where she shares this unique recipe for Fudgy Avocado Brownies with Avocado Icing. You all know how much I love brownies and the moment I found this recipe on Pinterest I just had to share it. Our entire family loves avocado so what better way to incorporate it into something delicious. I’m pretty sure these beauties wouldn’t last long in our kitchen. It’s also a great way to use up avocado that is very ripe as opposed to making guacamole. 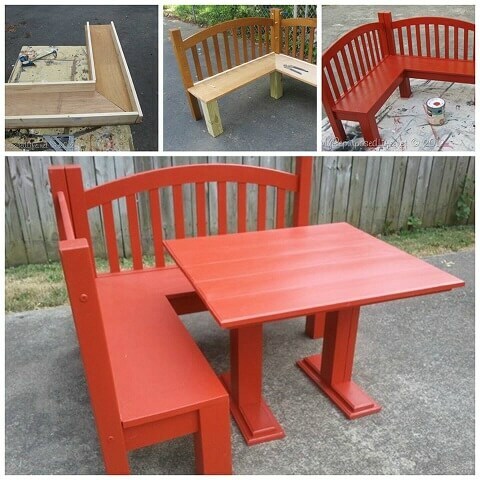 When I found this DIY Kids Corner Bench (Banquette) that Gail shared over at My Re-Purposed Life I knew our son would go crazy if I made something like this for him. He loves to sit and look out the kitchen window so this would be perfect for him. I wish I had more time to devote to these types of projects but I’ve bookmarked this beauty and when I get some time off I plan to create for my little guy. Editor’s pick (That’s me Mr.CBB) This week I read a post over at The Age of Happiness about Heidemarie Schwermer, Who Doesn’t Need Money . Heidemarie is a 70 year-old woman who doesn’t need money to live. It’s amazing what she has done over the 17 years since she’s started living with no money and how far it’s taken her. Even today she still uses no money and when she does do appearances at schools or conferences she simply accepts free room and board. An excellent read about how stuff doesn’t define us. How to scan groceries faster– I dunno, a couple of cups of coffee, caffeine boost? A scanner can only go as fast as the person who is using it. You can help by putting the bar code down for the cashier so she can keep the scanning flow. Canadian Date Squares– I promise you the “Canadian” part has nothing to do with them. Need free money fast– WOW.. really? Free money fast. Wouldn’t that be nice if we didn’t have to work for a living? Ya! Are 7-11 pregnancy tests reliable?– I don’t know why I’m laughing but I am. I renovated or did some changes in my kitchen and bathroom to increase its appeal. Mommies like to see that the place they spend most of their time is neat and clean.